Bankruptcy fraud can come in any number of different specific forms, as the exact practices of every individual bankruptcy fraud scheme can differ slightly. But on the whole, there are three primary types of bankruptcy fraud which are either perpetrated more often than any others, or are at the core of any given incident of bankruptcy fraud. For instance, a bankruptcy fraud might involve both multiple filings and concealment of assets, along with any of a number of other possible practices that might define that particular incident more specifically. But understanding these three primary forms of bankruptcy fraud is critical to understanding the overall problem and nature of this kind of fraud. This is the most common type of bankruptcy fraud in America, not least because it is so simple and obvious, and often constitutes an important element of other forms of bankruptcy fraud. When filing for bankruptcy, the claimant is required to submit a list of all his or her assets, so that the processing court can accurately judge what assets the claimant has, and where those assets should be allocated, in terms of the claimant's creditors. But if the claimant hides any of his or her assets from the processing court, then obviously those assets will not be considered when determining the overall distribution of the claimant's resources, and after the bankruptcy proceedings are all said and done, the claimant would still have those hidden assets available to him or her, which would then undermine the purpose of a bankruptcy proceeding entirely. Assets can be concealed in any number of ways, from storing them in a different account off shore, to giving them as gifts to friends and family and then retrieving them once the bankruptcy proceedings are over. But the worst element of concealment of assets is that periodically, individuals can commit this type of bankruptcy fraud without intending to, and can find themselves being charged with fraud which they never actually committed. Petition mills are different from most forms of bankruptcy fraud, because instead of being attempts by the bankruptcy claimant to somehow profit from the bankruptcy proceedings, they are elaborate, manipulate plots by a completely separate party to essentially force others to file for bankruptcy without know it, while profiting off them greatly. Petition mills involve small companies offering up a service, generally to low-income or immigrant urban neighborhoods. Under the terms of this service, the fraudsters claim that they will eliminate the debt of clients, or that they will prevent any foreclosures or evictions, and so on. The people of the neighborhood think it's a wonderful thing, and will gladly pay the fraudsters the large sums of money they request in order to obtain this service. In actuality, all the fraudsters do is file for bankruptcy in the names of their clients, successfully preventing any further dept, or foreclosure, or eviction, while the bankruptcy is being processed. The fraudsters will also sometimes use their power over their clients to force property transfers to themselves, or to further complicate and slow down bankruptcy proceedings by essentially perpetrating bankruptcy fraud on their clients', or victims', behalf. To find out more about this particularly insidious and deceptive form of bankruptcy fraud, click the link. Multiple filings is a type of bankruptcy fraud that is most often used in conjunction with another kind of bankruptcy fraud. 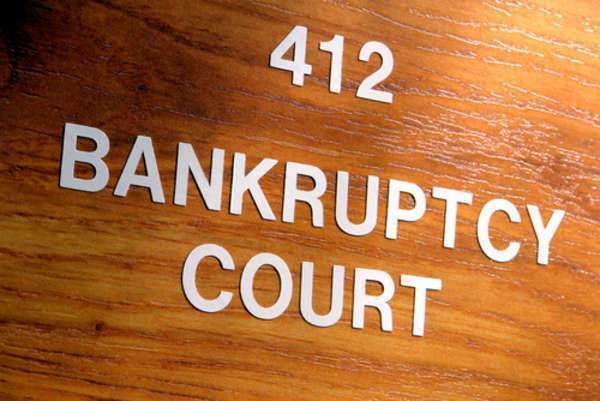 It involves simply filing multiple bankruptcy claims in different states, under either the same or different identities, but generally listing the same assets on both claims. Both asset lists, however, will be incomplete. The entire point of multiple filings is not to accomplish any direct goal, or gain any direct profit, but is instead to slow down the proceedings of a bankruptcy claim. The claimant is hoping to force the bankruptcy processing courts to take a longer amount of time when they realize that there are multiple claims, and that those claims interfere with one another. Most often, this is done specifically so that the claimant will have more time to conceal assets, ensuring that by the time the claims are actually processed, the claimant has concealed whatever assets he or she wanted to. Multiple filings are usually a red flag that some other kind of fraud is going on, but the unfortunate truth is that multiple filings are not illegal or fraudulent in and of themselves, and as a result, fraud investigations cannot be launched simply based on the presence of multiple filings, unless those multiple filings clearly violated a provision of bankruptcy law. Follow the link for more information on multiple filings and their purpose.